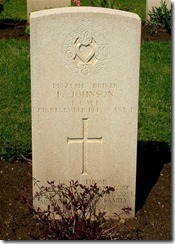 Frank Johnson was born in 1926 to C. W. and Matilda Johnson of Porthill. 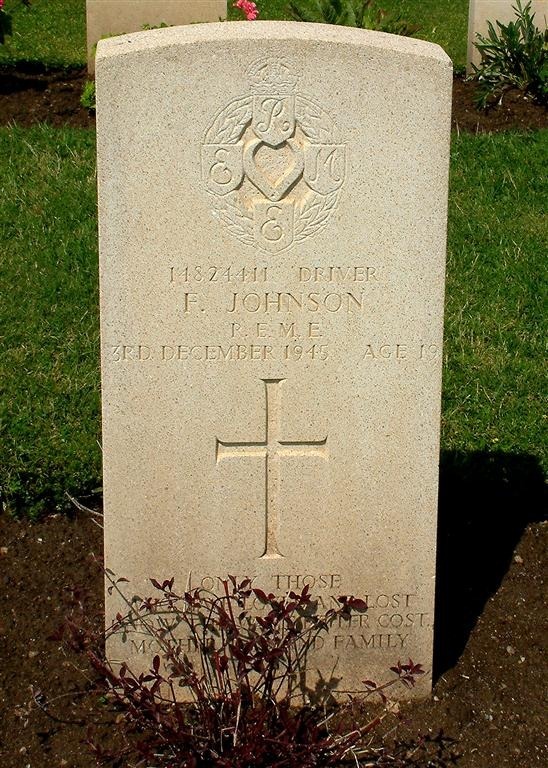 He served as Driver Frank Johnson 14824411 Royal Electrical and Mechanical Engineers. He died on 3rd December 1945 aged 19 years and is buried and commemorated at the Alexandria (Hadra) War Memorial Cemetery, Egypt.